The Department of Gastroenterology, Hepatology, Endocrinology, Diabetology and Nutritional Medicine at the University Hospital Saarland offers the full range of services in these medical fields. It diagnoses and treats acute and chronic liver diseases, chronic and inflammatory bowel diseases, tumors of the whole gastrointestinal tract, as well as provides preparation for liver transplantation and follow-up care after the operation. In addition, the department specializes in the treatment of type 1 and type 2 diabetes (certification of the German Diabetes Society) and offers competent advice in nutritional medicine. The department is headed by the world-famous specialist Prof. Dr. med. Frank Lammert. To ensure accurate diagnosis, the department has an Endoscopy Unit fitted out with innovative medical equipment. It provides all diagnostic and therapeutic endoscopic examinations of the esophagus, stomach, small and large intestine, bile ducts, pancreas. Of particular interest is local therapy for gastrointestinal and liver tumors (local ablative procedures, photodynamic therapy, cholangioscopy). Prof. Dr. med. Frank Lammert received his education in Düsseldorf and Aachen (fellowship). Since 1995 till 1997, he has been a Fellow of the German Research Society at Harvard Medical School in Boston (USA). In 2001, the doctor had his habilitation in internal medicine, RWTU Aachen. In 2002, he became a Junior Professor in Molecular and Clinical Hepatology. In 2004, he became a Professor in Internal Medicine and Gastroenterology at the University of Bonn. 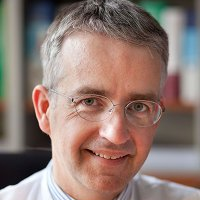 In 2007, he received an invitation to post of the Professor at the Department of Internal Medicine (Gastroenterology, Hepatology, Endocrinology, Diabetology and Nutritional Medicine) at the University of Saarland and Head of the Department of Internal Medicine at the University Hospital Saarland. Thannhauser Award of the German Society for Digestive and Metabolic Disorders. Theodor Frerichs Award of the German Society of Internal Medicine. Board Member of the German Society for Digestive and Metabolic Disorders. Member of the German Society of Endocrinology. Member of the German Society of Diabetology. Department of Gastroenterology, Hepatology, Endocrinology, Diabetology and Nutritional Medicine.